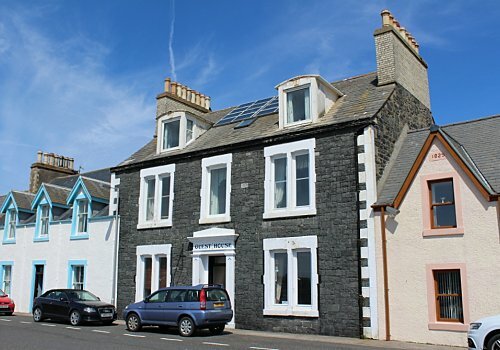 The Knowe is a large holiday house at Portpatrick Harbour that can sleep 16 guests in 8 bedrooms. 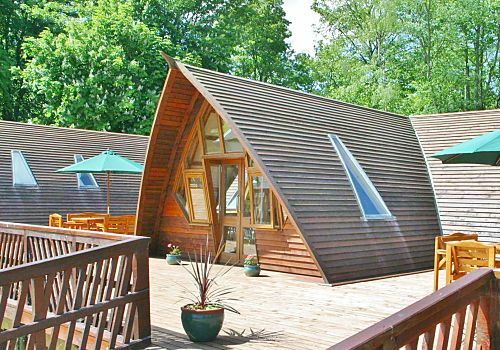 There are 4 double bedrooms, 3 twin bedrooms and 1 bunk bedroom. 6 bedrooms are en-suite. Large lounge with ample seating, colour TV, DVD, electric wood burning effect fire. Large conservatory with cane furniture. 5 of the en-suite bedrooms have views over Portpatrick Harbour. Large dining kitchen housed in a new extension. A newly fitted Alno kitchen with range cooker, fridge / freezer, toaster, kettle, microwave, dishwasher, washer / dryer and ample kitchen crockery and utensils for 16. The kitchen area also has a kitchen table and seating for up to 16. 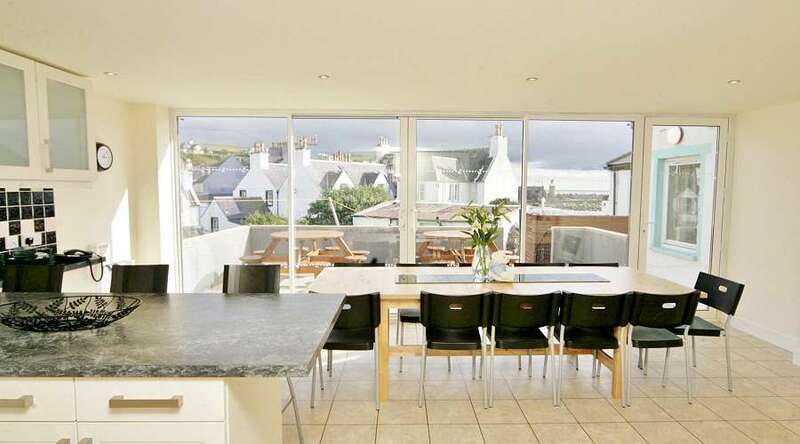 With ceiling to floor windows the outlook over the garden to the Irish Sea is stunning. Patio supplied with garden furniture. All sheets and bed covers provided. Kitchen towels and oven gloves provided. Towels can be hired £3 per person p/wk. Sorry, no dogs under 1 year old. There is a charge of £15 per extra dog. Dogs must be kept under strict control. Dogs must have their own bedding. Pets must be kept off furniture. We’re sorry, but Under 21 groups are not accepted, and No stag or hen parties.